We're set on empowering young leaders to affect social, equitable and technological change in an established industry. You have been chosen to join one of the most passionate, dedicated and sociable teams in the entertainment industry. As Canada's fastest growing national events management and marketing business, we take great pride in our team. With the proper training we will become an unstoppable social force across Canada. When we're affecting change at this scale in an industry so set in its ways, everyone needs to be working tirelessly towards our mission. We perform as a sum of our parts and together we are creating something extraordinary. Our mission is to empower young leaders to affect social, equitable, and technological change in an established industry. Our ultimate purpose is to build a better nightlife. Empowering young leaders communicates our covenant to continually nurture and build a team of leaders. We define leaders as individuals who want nothing but the best for people around them. These individuals stop at nothing to make their communities a better place. We pursue innovation through our example. Other organizations are looking at us as leaders in affecting the social and equitable change the nightlife industry needs. Rapture is at the forefront of one of the largest paradigm shifts in marketing history, since the Dove 'Real Beauty' campaign, and we are executing this by making comfort, safety, and inclusion the new standard in nightlife. A major advantage we have is that we are a student run company, and therefore, we know what students want out of their nightlife experience! Our human resources initiatives and major tech advances are helping us transform the nightlife industry and cater our efforts directly to improving the quality of nightlife for our customers, as well as ensuring you have an enjoyable experience as a member of our team! Our HR department is the heart of our company and will be a huge asset for you! We are becoming the leader in student employment by putting you in the best place to grow and by turning your involvement with the company into an investment in your future. 1. Our Rapture tutor and alumni network is a major focus which will allow Rapture team members, both past and present, to connect with other members around the world. As the size of our team grows so does your ability to network and find opportunities to help you further your career past university! 2. Continual development is our key to success both as a company and for each one of our team members. By providing constant performance feedback and personalized resources to help you improve, Rapture is committed to helping you succeed! Majority of promotion and event management companies in the industry are extremely low tech, thereby compromising professionalism and efficiency. Our tech and IT departments are going to help us transform the nightlife industry for both businesses and customers! 1. Mass data aggregation and event analytics give us the ability to get to know our customers better than any other company! By being able to gather data and analytics on the people that are active on social media we are able to gather invaluable information. This includes what time most people arrive at events, what type of music they enjoy, when they decide where to party, nightlife travel patterns, and much more. 2. We also see an opportunity to create major efficiencies in the music/talent industry. Endeavours such as creating a database for artists to share music, while also allowing venues to look for talent they may be interested in signing will erase a lot of the information asymmetry plaguing the industry. In the summer of 2014 Connor J. Wilson was working for an international real estate leasing company that needed an aspiring entrepreneur to take their brand and bring it to British Columbia. After only four months a team of 15 who were hired, trained, and lead by Connor generated $110,000 in revenue. Despite achieving outstanding accomplishments as the youngest Regional Manager (directly below the COO) of the firm they refused to give up equity, and the overall engagement between the executives and their city managers was distant (almost exclusively through text-based messaging) and was just overall poorly managed. Because of this Connor left the company, intending to start his own business instead. As someone who has held leadership positions throughout his entire high school and university career, Pierre has a passion for nurturing others and building strong, tight knit teams. He was chosen as one of two students in Vancouver to attend the Canadian Student Leadership Association, an organization whose mission is to foster development for community leaders working toward the betterment of society. Pierre has combined his passion for team building and societal improvement with his love for nightlife. After noticing the massive inequities and inefficiencies that take place in this industry, he has made it his mission to create a better quality nightlife for everyone. 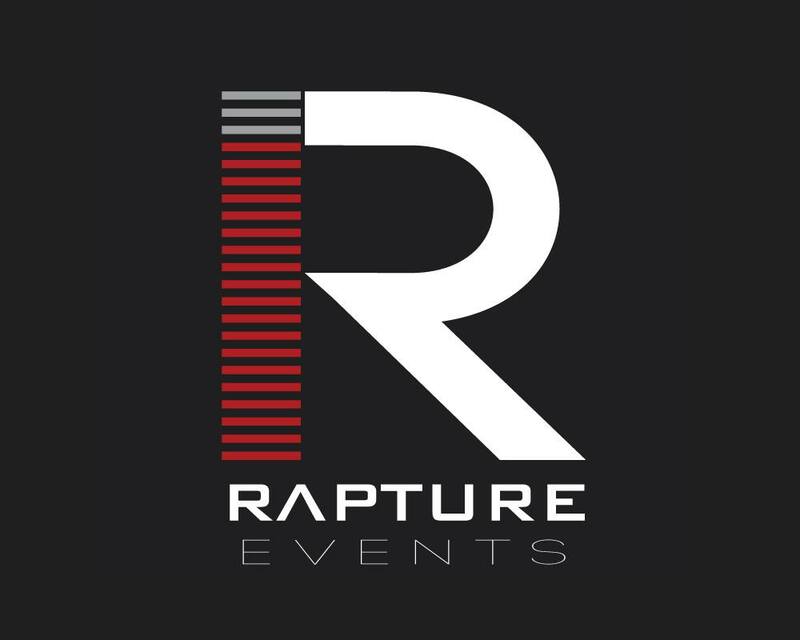 For you to be properly integrated into the Rapture Events community, it is important you learn what Rapture Events does, and the branches of our company that make us successful. Our Events division, which includes you as an event rep, is the bread and butter of our company. It is what brings us revenue and allows us to revolutionize nightlife, one event at a time! We work with nightclubs to drive traffic to venues by developing unique and premium marketing plans, taking a percentage of door/ liquor sales, or flat promoter/consulting fees from the owners. We do guerilla and experiential marketing campaigns for larger events such as music festivals. We plan to do many large projects as well, such as student getaways to Cancun and corporate events. We are responsible for ensuring that every event works toward creating social and equitable change, and gets us one step closer to building a better quality nightlife. Our Talent division is responsible for managing artists, finding new up and coming talent, and ensuring that bookings maximize the number of attendees at events while gaining recognition for our artists. Due to the nature of our dispersed teams, and a database to connect artists from around the world, this division will make the talent booking process more efficient, and establish Rapture as the fastest way for upcoming artists to have their work recognized. They ensure we have successful events by bringing out the hottest and best talents! Our Agency division is responsible for our company's marketing, brand management, and consulting services. Because of our experience and knowledge in the nightlife, we are able to offer marketing consulting services to companies wanting to increase recognition. Also, by organizing and executing marketing campaigns geared toward our vision of social and equitable change, our Agency division helps define our brand image and make every Rapture event an embodiment of our values. Clouds and dirt: Keep your head in the clouds and feet in the dirt. The clouds are the philosophy and beliefs that are at the heart of every action we take as a company. They represent the big picture: Creating a better quality nightlife by empowering young leaders to affect social, equitable, and technological change. The dirt is about being a practitioner and executing toward those goals. The dirt includes the steps we take at every event to work toward our mission, whether it be standing up for someone who seems like they are in trouble, or going out of your way to make the night enjoyable for someone who seems disappointed, its the small steps we take everyday that ultimately allow us to accomplish the nightlife revolution we want! Trust and Awareness: ​Our mission to create a better quality nightlife starts and ends with you. By building a trustworthy relationship with our customers and ensuring that our events maintain a comfortable environment for all, we are able to establish personal and positive relationships that allow us to continue to do what we do best! How can you move up in our company? Rapture has what is called a horizontal management structure. This hierarchical model combined with the fact we are a rapidly growing startup means there is plenty of room to grow and lots of upwards mobility within the company! Firstly, our mission as a company is to create a social and equitable change in the nightlife industry. It is the responsibility of every member of our team to embody these ideals and promote a sense of professionalism and comfort. Easy gestures such as helping to cheer someone up at our events who may seem down, to offering to walk someone home who may feel unsafe, you will not only be highly recognized within as a shining example of what we aim to accomplish, but you will also be playing your part in making nightlife a more inclusive and enjoyable experience! Secondly, consistency as an event rep is key. By bringing people out to events weekly, showing engagement on social media and on Facebook Workplace (our company social network andFacebook's enterprise application), and having a passion for your role within company, you will make yourself noticed as a leader and be rewarded accordingly! 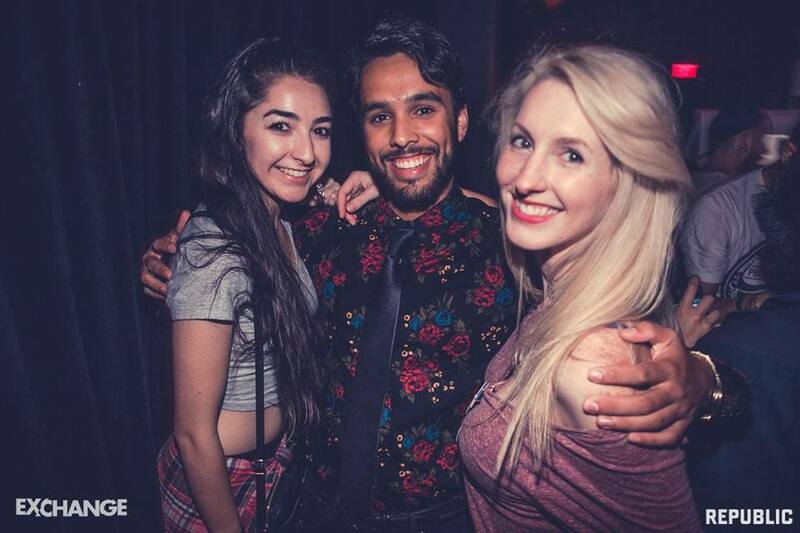 A recent example can be seen with one of our event reps in Vancouver, who was able to go from being an event representative to managing all of our promotion teams across Vancouver within 8 months! By consistently remaining focused on our company vision, showing a positive attitude, and becoming a community leader, he was able to climb the ranks quickly. You've made a commitment to Rapture, and Rapture is making a commitment to you to ensure that your hard work and efforts do not go unnoticed! Which of the following departments do you see yourself succeeding in? What opportunities do you see Rapture fulfilling in your area? Congratulations on completing the Event rep training program! Get familiar with it! Ask any questions you have to your event manager so you can easily navigate it and are knowledgeable for customers. Talk to your Event Manager. Email [email protected] to be added to facebook at work if you are not already. This is the platform we will be using to communicate with you directly, or your team as a whole as well as the other way around! This app works much like Facebook messenger but download the app and get your event manager to invite you to your respective group. Be sure to add all your information such as phone number and email. Message Pierre Noujeim to introduce yourself and spark a conversation about you, the company, or any other topic that interests you! Welcome to the fastest growing event management company in Canada; run for students, by students.